When we brush our teeth or apply sunscreen or hairspray, we are using products that involve some type of chemistry. Without chemistry, we would be unable to do even the simplest of tasks such as baking cookies. Understanding how chemistry works gives children insight into how our world works. Simple experiments with baking soda and vinegar are a fun way to show what happens when bases and acids interact with one another. Children will be amazed while creating a baking soda bomb or fire extinguisher or building their very own rocket and watching it propel into the air. Safety Warning: All the experiments listed here should be done with adult supervision and with the appropriate safety gear such as goggles, and gloves. Children will get a big bang out of this easy, science experiment that consists of simple household items. This experiment should be done outside in an open area. Place the baking soda in a piece of tissue paper and roll it up. Pour a cup of vinegar into the plastic bag and place the rolled up tissue paper inside. Seal the bag, give it a shake, and stand back. Once the tissue paper dissolves, the acidic and the base will mix creating carbon dioxide, which will result in a fizzy reaction inside of the bag. The bag will swell and burst with a bang. Kids are fascinated with rockets so why not help them make one of their own? Children will never again call science boring after creating and launching their very own rocket into space. Fill the water bottle with around an inch of vinegar. Pour some baking soda into a piece of tissue paper. Place the paper into the bottle and replace the bottle cap. Shake the bottle and stand back. The vinegar and baking soda create carbon dioxide. The built up pressure inside the bottle causes the bottle cap to pop off and the bottle is sent flying into the sky. The bottle should propel several hundred feet into the air. 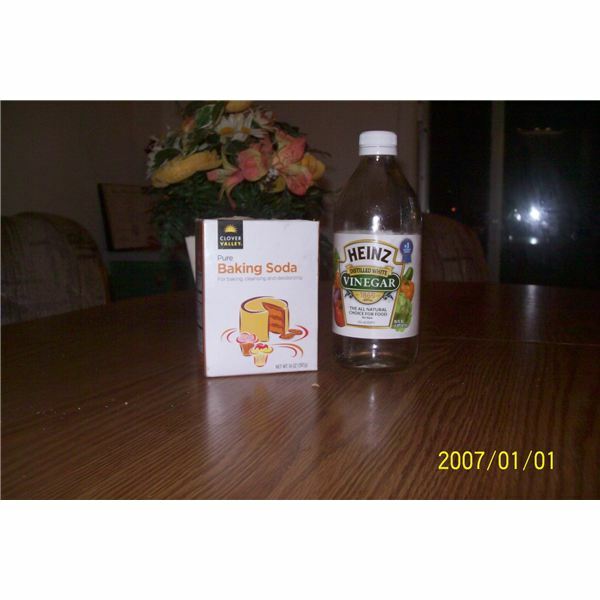 Experiment with different amounts of baking soda and vinegar. 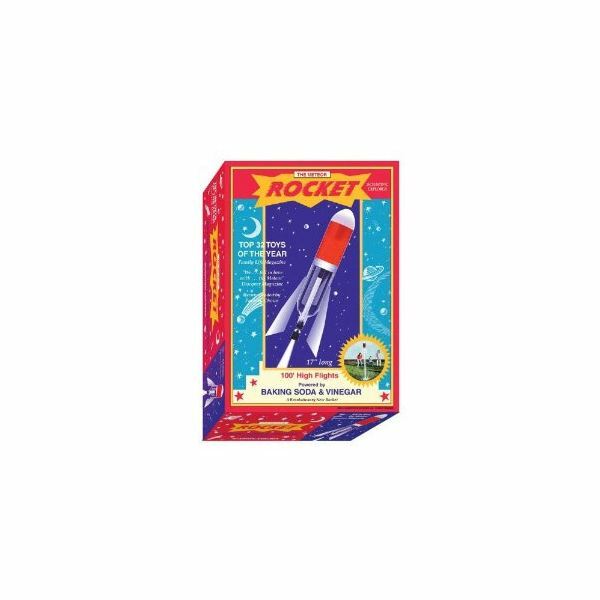 Children can personalize their rockets by decorating the bottle with stickers, paint and cardstock paper fins. Safety Precaution: Small children should stand back while the teacher is demonstrating this experiment. Older kids can perform the experiment on their own with adult supervision and safety wear. Never point the bottle at anyone. Children become firefighters for a day while participating in an experiment that involves making a real fire extinguisher out of baking soda and vinegar. Before the lesson, explain that in order for a fire to thrive it must have fuel, heat and oxygen. One of these must be removed in order to extinguish the flame. Using paint, stickers and other art supplies, turn an ordinary bottle into a fire extinguisher. Once the bottle is dry, try your fire extinguisher. Light a candle. Pour the vinegar into the bottle. Next, add the baking soda. Hold the bottle sideways over the candle. Be careful not to spill any of the liquid onto the candle. The candle will go out on its own. When the baking soda and vinegar combine, it creates carbon dioxide. Carbon dioxide is heavier than oxygen so it removes the oxygen in the air that is surrounding the candle and causing it to burn. Therefore, the fire goes out because it is unable to burn without oxygen. Some fire extinguishers contain a special powder to suffocate the fire while others are filled with carbon dioxide. Are you looking for a chemistry experiment done with baking soda that results in a sweet-smelling Christmas gift especially handmade by your children? If you answered yes, then the baking soda fizzy bath bomb is the perfect experiment for you. Mix the fragrance oil and baking soda in the bag. Next, add the cornstarch, Epsom salt, citric acid and food coloring. Knead until all the ingredients are mixed well. Dampen with a spray of witch hazel. Too much of the spray will cause the balls to start fizzing so be careful! Shape into a ball and place on waxed paper for at least 24 hours. Once they are dry, place them in a decorated glass jar or wrap them in colored cellophane and tie with ribbon. Fizzy bath bombs make great Christmas gifts, and kids will enjoy making them and watching the chemical reaction take place when the balls fizz and bubble in the bathtub. In addition to these exploding experiments, preschool children will be mystified as they watch a balloon inflate all by itself with the help of a chemical reaction caused by mixing baking soda and vinegar together. When teaching chemistry, make it simple, easy and fun! Author's own experience and photos.